If you can get your hands on The Blade (1995), Tsui Hark’s bleak-as-hell re-imagining of the Shaw Brothers classic, The One Armed Swordsman, do yourself a favor and check it out. My pal Kozo at LoveHKFilm.com had this to say about the film, so be sure to check out his review. Watching The Blade all these years later, I have to say I tend to agree with his evaluation, although in retrospect, I really question Tsui Hark’s filmmaking choices at times. 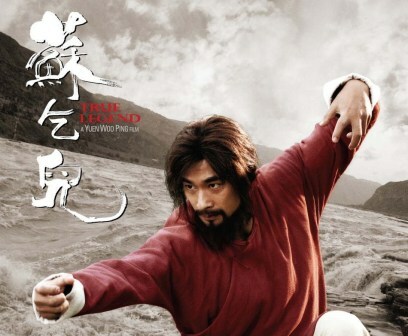 To put it simply, this film can be messy as hell at times, a quality that would unfortunately be present in his 2005 return to wuxia pian, Seven Swords. And really, why do we need to cut away from our hero On (Vincent Zhao) to see what’s happening with the characters played by Moses Chan and Sang Ni? I didn’t care about them, and I think the original Shaw Bros film handled those characters (or at least their equivalents, anyway) in a much better fashion. Really, the point the film is trying to put forth about “Living La Vida Jiang Hu” amounting to nothing more than largely empty, meaningless, and totally non-heroic existence was already made quite well in the first act when the heroic monk got totally f-ed up and nobody cared. It ain’t all fun and games in The Blade. It’s a harsh world, baby. Harsh. For those looking for a story with happy-go-lucky swordsmen, do go elsewhere. Maggie Cheung has never been as mischievous nor as sensuous as she is playing the title role in Tsui Hark’s 1993 film, Green Snake. Adapted from Lilian Lee’s novel, Green Snake retells the story of Madam White Snake from the perspective of her younger sibling, Qingqing (Maggie Cheung). The main storyline involves two snake spirits — Qingqing and her older sister, Madame White Snake herself, Bai Suzhen (Joey Wong) — who assume human forms to experience the pleasures of the human world. Along the way, Bai Suzhen falls for a scholar (Wu Xing-Guo), and their inter-species love affair sparks the ire of repressed Buddhist monk (Zhao Wen-Zhou). Of course, a showdown proves inevitable. For the viewer thirsting for old school Shaw Brothers kung fu with a dash of vintage 90s Tsui Hark-style action, Yuen Woo-Ping’s True Legend is like an oasis in the desert. There’s only one problem — Hong Kong martial arts film fans are so parched that there’s a danger of lapping it all up unquestionably, despite the fact that the last 1/4 of the movie is complete backwash. Let me explain: True Legend has a structural problem. If you don’t want to know the vague outline of the major story points, skip past the following list.